We serve large and small organizations in a variety of businesses including manufacturing, retail, government, schools, shipping, and agriculture. We have medical labels specifically for the pharmaceutical and medical industries and cleanroom labels for even the most stringent of environments. Many Fortune 500 businesses you would be familiar with turn to TSBS for their barcode supplies. 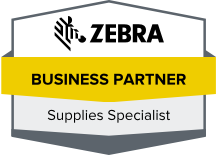 Of course we carry all of the brand names you are used to seeing in the business, including Zebra, Sony and Datamax. It is our consistent customer service that has fueled our growth. Since we only focus on barcode systems and supplies, we are specialists in these particular products. We can offer amazing prices and suggestions on systems that can work best in your particular application. Whether you have been using barcode supplies for years or whether you are considering beginning to use the technology, Tri-State Business Systems is here to help. Contact us for a quote or to get your specific questions answered and see what TSBS can do for you!